Feline Anemia is the reduction of red blood cells in your cat’s circulatory system. Red blood cells contain hemoglobin, which carries oxygen through both humans and cat's blood. Unfortunately, cats are prone to anemia due to the short life span of their red blood cells. Cat’s red blood cells have the shortest life span of many other mammal species. If your cat is not producing enough red blood cells or his/her body is destroying them, it can seriously affect the overall health of your cat. Below are the types, causes, symptoms, diagnosis and treatment of anemia in cats. There are three different types of anemia: regenerative, non-regenerative and Hemotropic Mycoplasmosis. Regenerative anaemia refers to bone marrow producing new red blood cells in response to severe blood loss. 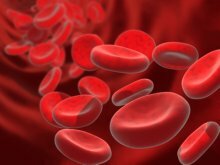 Non-regenerative anemia refers to the lack of new red blood cell reproduction in the bone marrow, which is usually due to an underlying disease. Cats often have multiple causes for their anemia. For example, they may be suffering from two medical conditions at the same time. One condition can be causing regenerative anemia, but the other condition can be causing non-regenerative anemia. This can be tricky for veterinarians to diagnose and treat. Another type of feline anemia is Hemotropic Mycoplasmosis. This condition is actually caused by parasites, and cats are usually affected through tick, flea or mosquito bites. It is a serious infection that can easily be passed from cat to cat. Cats that spend a lot of time outdoors, especially during the spring and summer are at higher risk of developing this type of anemia. Some causes of feline anemia includes feline kidney disease, congenital blood disorders, poor nutrition, lack of folic acid, lack of iron or other vitamins, bone marrow disorders, feline leukemia, feline immunodeficiency virus, some cancers or injury as a result of a serious accident, or tumors that cause internal bleeding. Other serious conditions can also cause feline anemia such as haemorrhage and haemolysis. Haemorrhage can be caused by parasites such as fleas and lice, loss of blood due to a disease in the urinary tract or gastrointestinal tract. Haemolysis can be caused by infections such as FIP, feline leukaemia virus (FeLV) or feline haemoplasma infection. It’s also caused by low phosphate concentrations, tumors and drug side effects. Feline anemia can also be brought on by incompatible blood used during a blood transfusion. This can also occur when blood type A kittens are born to a mother with type B blood, and they ingest antibodies that are in their mother’s milk that destroys their red blood cells, which leads to anemia. Typically, the primary symptom that is displayed when your cat is suffering from this condition is weakness and a pale whitish tongue and gums. Additional symptoms caused by feline anemia include weakness, fatigue, increased heart rate, increased respiratory rate, pica (the craving of unusual foods), feline weight loss, and jaundice. If another underlying disease is present, chronic renal failure and feline infectious peritonitis (FIP) may also present themselves. If your cat shows any of these signs, seek immediate medical help from your cat's veterinarian. Finding the cause of your cat’s anemia is essential in proper diagnosis and treatment. Feline anemia can cause symptoms that range from mild to severe. The condition can also lead to death, especially if left untreated. Diagnosis of feline anaemia can be a complicated process since there are many causes for the condition including various diseases. Veterinarians perform a series of blood tests in order to diagnose feline anemia. Your vet will look for a reduction in red blood cell counts in your cat’s blood through a complete blood count sample, as well as reduced packed cell volume and reduced haemoglobin concentration. Examining blood smear will help determine whether the anemia is regenerative or not. More tests may be needed, such as a urine analysis and a blood chemistry panel, to rule out any diseases that may be causing the anemia such as feline immunodeficiency virus (FIV) and FeLV. Your vet may conduct other tests to rule out any other cat health problems based off of your cat’s medical history and any other symptoms your cat may be experiencing. It is important to find the root cause of the anemia as this may greatly affect the type of treatment used. If the cause of your cat’s anemia is due to an infection, antibiotics may be administered. In some cases where there has been a significant loss of blood a blood transfusion may be required. Anti-parasitic medication for fleas and worms may be recommended if they were linked as the cause of the anemia. Changing your cat’s diet may be recommended and adding nutritional supplements such as iron in combination with other treatments. Veterinarians first treat the disease that is causing the anemia, and then continue to monitor your cat to see if there is any change or improvement. A combination of proper diagnosis and care will assist your cat in recovering from this illness. Feline anemia has many causes, and it can be difficult for veterinarians to pinpoint the reason for your cat’s low red blood cell count. It is important to seek professional medical care for your cat once you notice any of the above symptoms or a change in your cat’s behavior. Anemia is treatable and just requires proper diagnosis and proper care. Feline Aids: Causes, Symptoms And Treatments -Feline aids, also known as feline immunodeficiency virus (FIV), affect 1.5 to 3 percent of healthy cats. Read to find out the causes, symptoms to be aware of and treatment options of this disease.